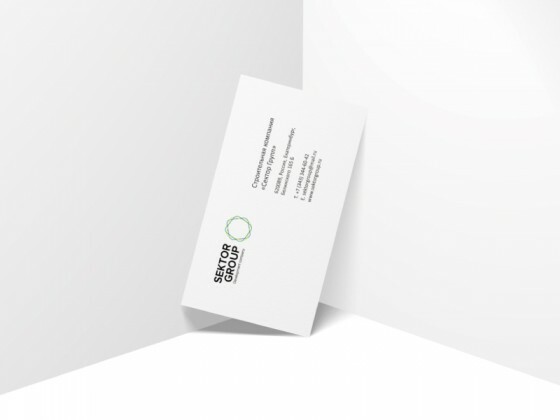 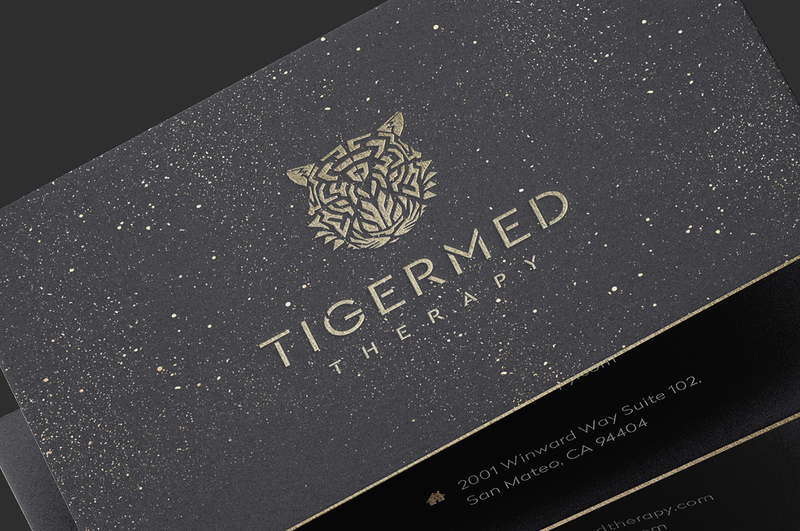 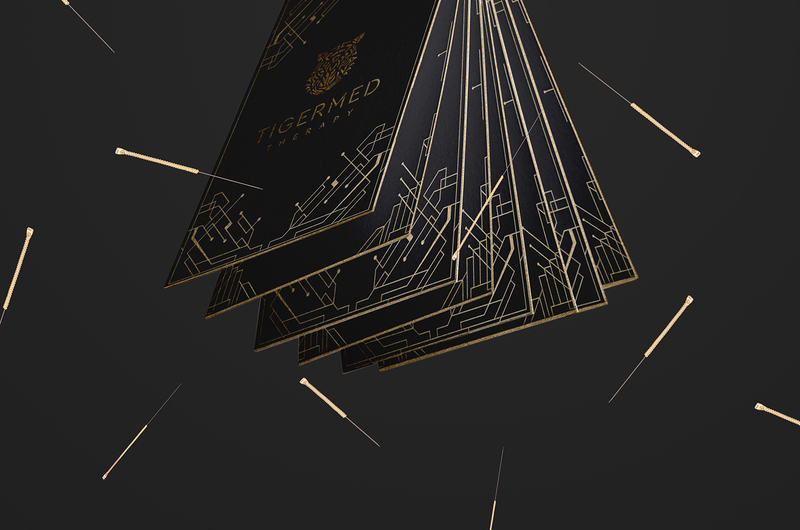 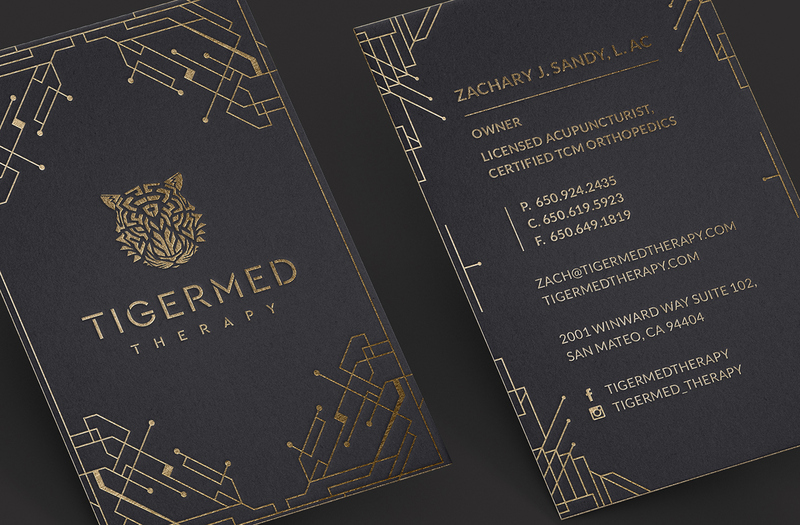 These are the business cards for Tigermed Therapy, an acupuncture, cupping and pain therapy company. 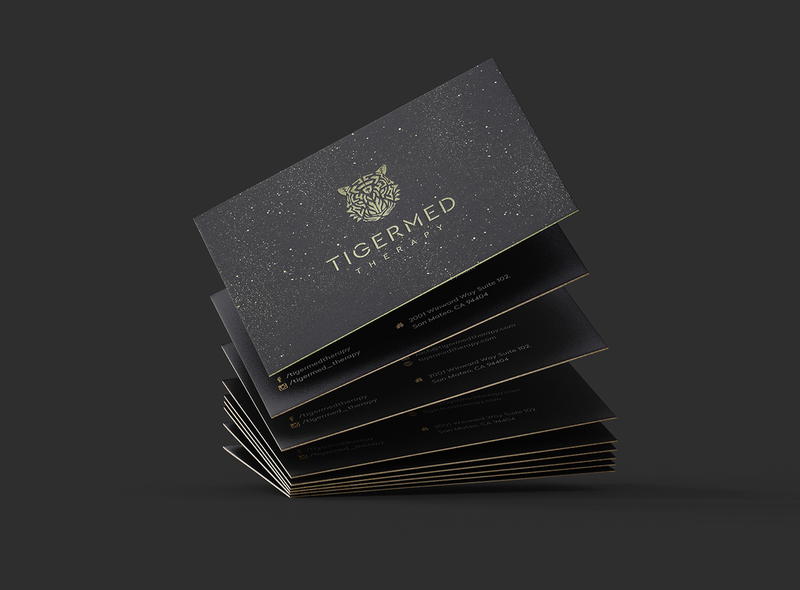 The cards have a premium look with the gold embossing and the thick quality paper that was used. 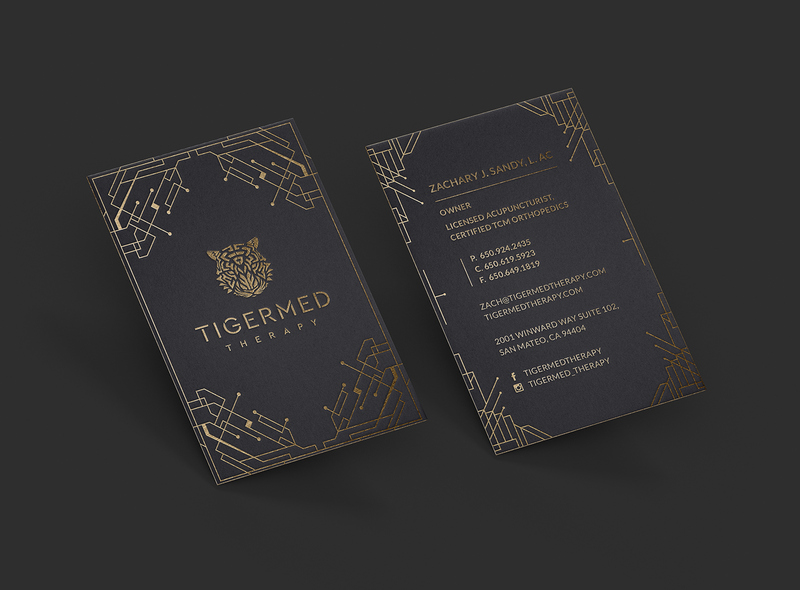 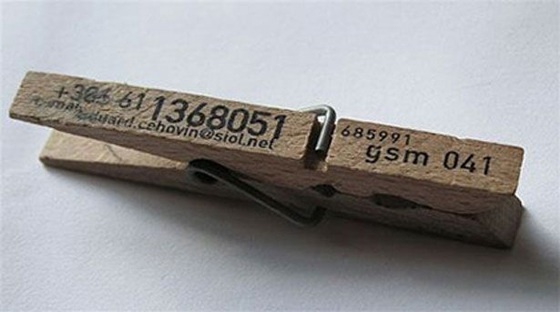 The design is very unique and shows how professional the company is. 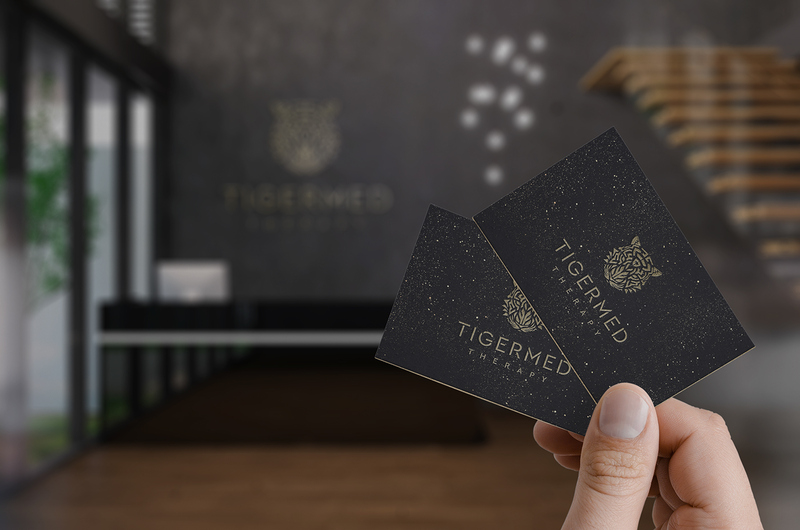 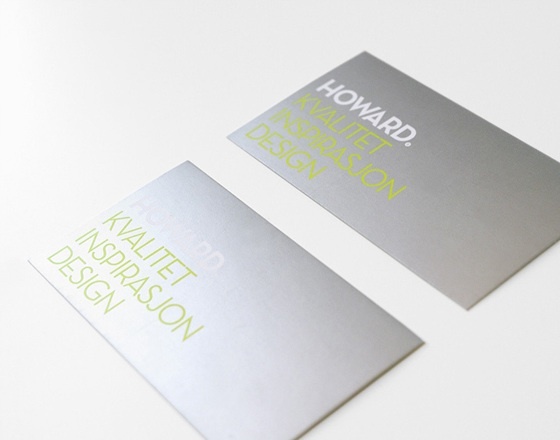 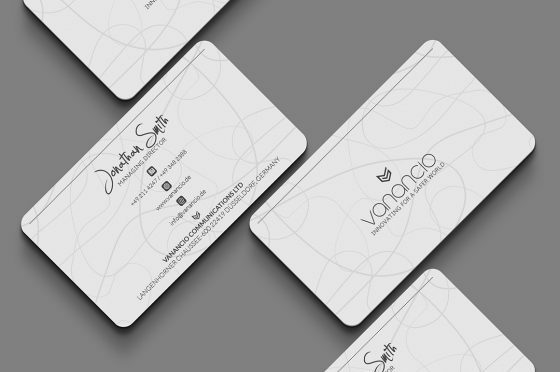 The design of this wonderful business card was done by illustra studio from the UK.